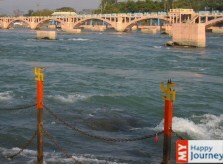 Auspiciously located at the point where the Ganges surfaces from the Himalaya, Haridwar is Uttarakhand’s sanctified Hindu city and devotees from all over the world arrive here to take a holy dip in divine River Ganga. 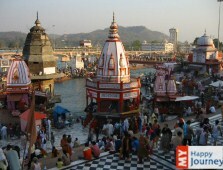 Haridwar a combination of two words, “Hari” and “Dwar”, literally means the “the gateway of Gods”. 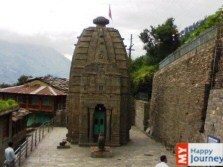 This godly city is among the seven holy cities of India, and also the gateway of three other significant pilgrimages of India, which are Rishikesh, Kedarnath, and Badrinath. 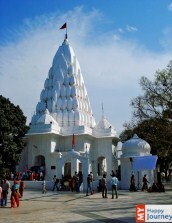 Known by a number of other names, such as Mayapuri, Kapila, Mokshadwar, the city has been mentioned in various Hindu epics as well. 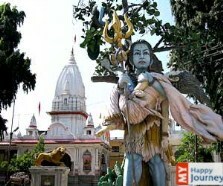 Haridwar has now become one of the main religious centers and tourist attractions of India, where people from all over the world come to purge their sins. 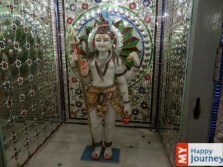 This heavenly place has a number of options for you to take the blessings of the deities. 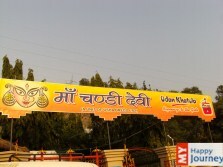 The most important and pious place is the Har-Ki-Pauri, which is renowned by the name Brahm Kund. This is the site from where River Ganga egresses the mountains and goes into the plains. 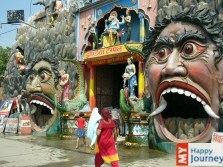 Here Hindus from all over the world gather to perform religious ceremonies. 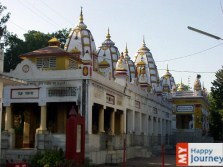 Other popular religious destinations of Haridwar are Maya Devi Temple, Mansa Devi temple, Chandi Devi Temple, Sapt Rishi Ashram and the Daksha Mahadev Temple. Chilla Wildlife Sanctuary and Gau Ghat are other main draws. 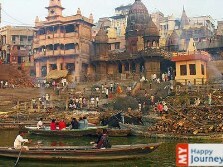 Speckled around the city are imposing temples, both primeval and modern, it is surely a place which is worth a visit.